Drug transportation and distribution charges are among the most serious drug offenses people can be accused of, with the most serious cases involving federal drug charges. Because the outcomes of cases involving drug distribution and transportation charges can impact nearly every aspect of a person’s life, having a strong defense in these cases will be critical to successfully resolving them. At Peter Weber Loyd & Associates, our Broomfield and Boulder drug crimes attorneys have extensive experienced defending people accused of drug distribution and transportation. Our goal is to mitigate the damage these charges may cause and help the accused resolve their cases as favorably as possible. Drug transportation and distribution charges are serious. Contact our Broomfield and Boulder defense attorneys for the strongest defense in these cases. Where the drugs were found. For some types of drugs, it will only take a relatively small amount of them to be involved in the case for federal drug distribution and transportation charges to be filed. For instance, Schedule I drugs (like heroin) do not need to be present in extremely large quantities for people to face drug distribution and transportation charges. 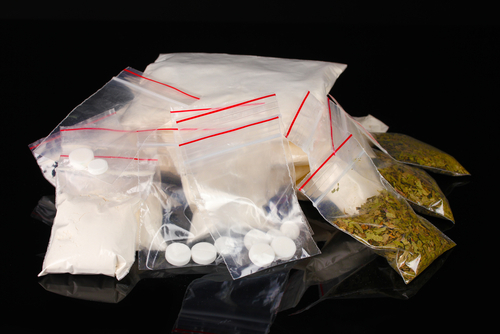 Proving an intent to sell drugs can be very difficult for prosecutors. Determining when police may have violated people’s rights during the course of the investigation can be a strong defense in these cases. For instance, when police may have violated a person’s Fourth Amendment right against illegal search and seizure, it may be possible to get evidence against the accused thrown out and, in turn, increase the possibility of getting the charges against the accused reduced (if not dropped entirely, when possible). Have you or a loved one been charged with drug transportation or distribution? If so, the Broomfield and Boulder drug crimes defense attorneys at the Peter Loyd Weber & Associates are ready to immediately start defending you. Our primary concern is building you the strongest possible defense so that you are able to obtain the best possible outcome to your case. Will provide you with effective, aggressive legal advocacy, as well as personalized care and cost-effective representation. We have a proven record of success and excellence in helping our clients favorably resolve their drug cases, and we are ready to put our experience, knowledge and skills to work for you. To talk about your defense and how we can help you, contact us today by calling (720) 863-7755 or by emailing us using the contact form on this page. We offer complimentary consultations, and we take pride in always being available to our clients – 24 hours per day, 7 days per week – so that they have the personal attention their case deserves.